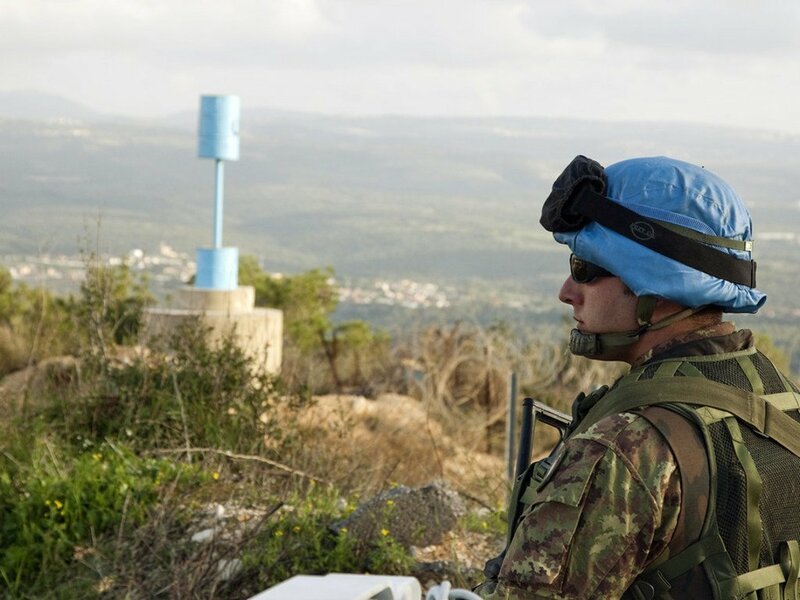 The United Nations Interim Force in Lebanon (UNIFIL) has confirmed the existence of at least two tunnels crossing the “Blue Line” – the border demarcation between Lebanon and Israel – but they “do not appear thus far” to have exit points leading to the surface on Israeli territory, the United Nations top peacekeeping official on 19 December 2018 told the Security Council. UN Photo/Eskinder Debebe | A UN peacekeeper patrols the ‘Blue Line’ in southern Lebanon. UN Photo/Evan Schneider | Amal Mudallali, Permanent Representative of Lebanon, addresses the Security Council. UN Photo/Eskinder Debebe | Danny Danon, Permanent Representative of Israel, addresses the Security Council. Mr. Danon urged the Security Council to denounce Hezbollah as a terrorist organization, as well as rebuke it for serious violations of resolution 1701. (SOURCE: UN News).